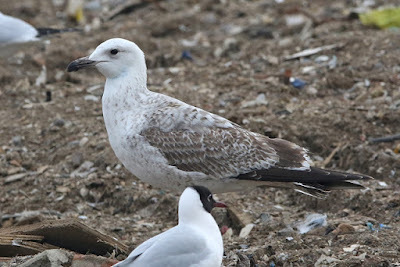 It's been a bit of a slog this week, and I meant to write this a couple of nights ago - just a brief summary of a decent morning last Saturday on the tip, and then a brief hour or so in Greenwich on Sunday. Saturday started off really murky, but once the fog had burnt off it became a pretty pleasant early spring day. 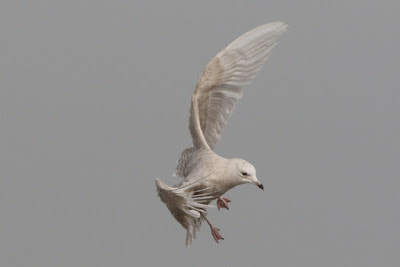 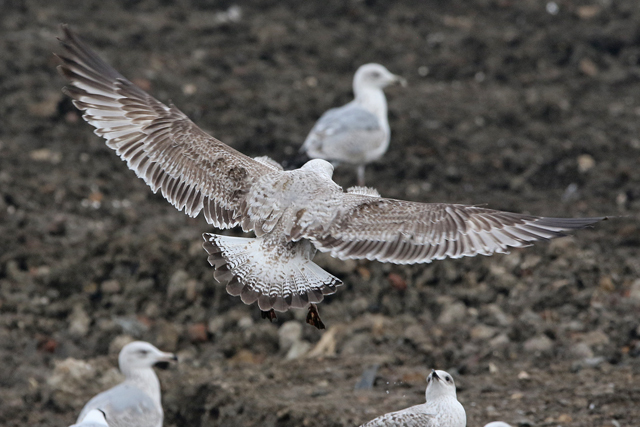 Top of the pile bird wise was the first Iceland Gull, a juvenile, of the winter on the tip; it came in late morning (at 11.15am) as I picked it up flying, but no sooner had I picked it up - and managed one photo - the ringers' cannon went bang and that was that! 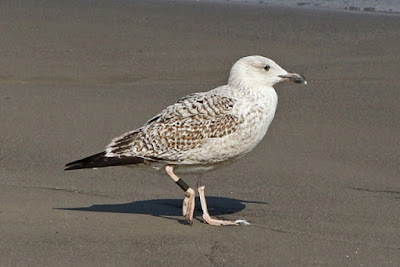 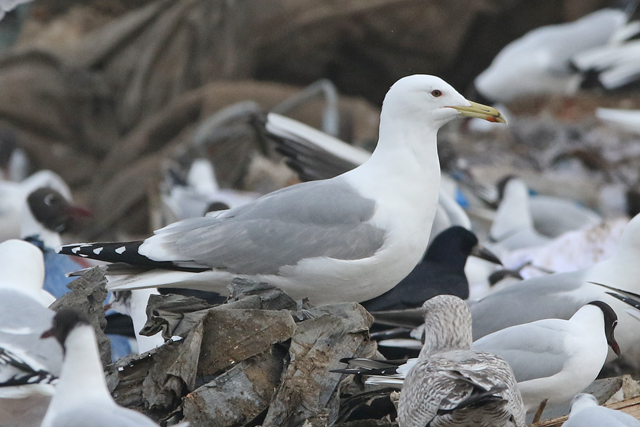 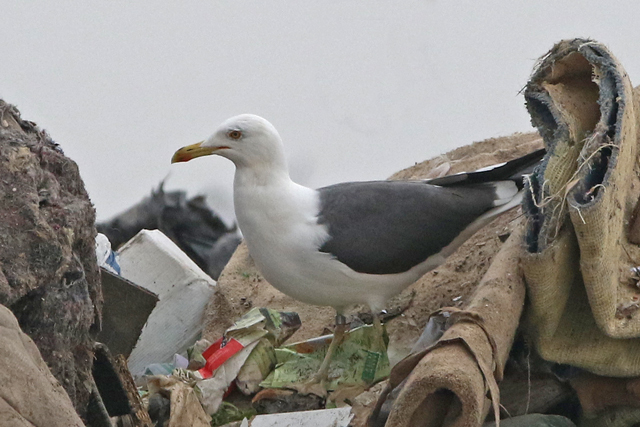 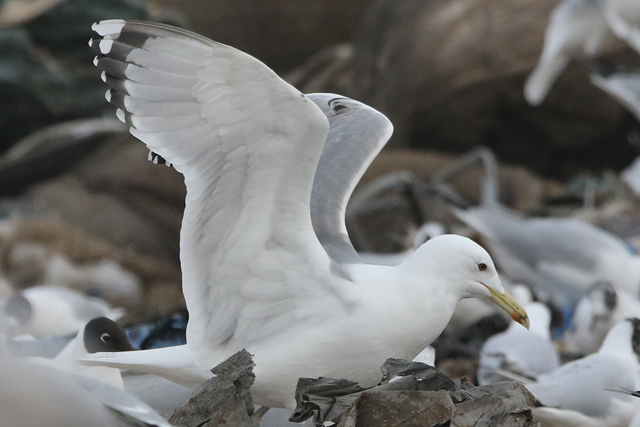 A couple of Caspian Gulls were welcome too, a first-winter that hung about for most of the morning as well as a really slick looking near-adult that was present in the melee by the tip face rather more briefly. Ring wise, things were a little quiet with 16 NTGG birds as well as a Dutch ringed Lesser Black-backed Gull too; interestingly one of the NTGG ringed Lesser Black-backed Gulls was a Dutch breeder too, so perhaps a push of birds heading back to their breeding grounds. 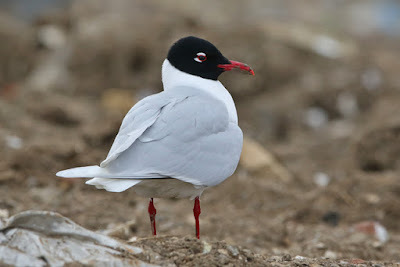 It was also the first time this spring that it felt like Mediterranean Gull numbers had really increased, with at least half a dozen - all adults bar a first-winter.